It’s not that I set out to not celebrate victories. It’s more that I don’t make a point of celebrating them. My victories are short lived, typically because I’ve already got my eyes set on the next goal. Last summer I participated in my 1st triathlon. I hadn’t exercised in 8 years, never trained on a bicycle and didn’t know how to swim. I began training in early summer and a few months later I swam a 1/2 mile, biked 17 miles and ran 3.2 miles, completing all events faster than I had hoped. With my eyes set on the next race just 3 weeks later, my ‘victory celebration’ was relegated to just a few moments after the race eating and talking with some of the competitors. 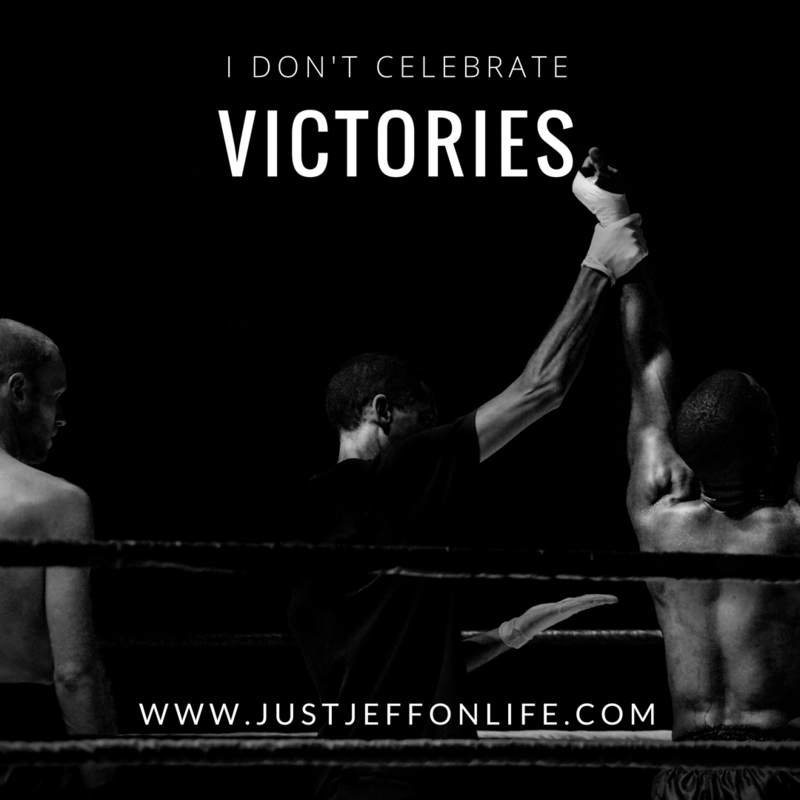 I don’t think everything requires celebrating, but I’ve recognized I don’t celebrate anything; never taking a moment to acknowledge my accomplishments, big or small. I believe this facilitates a constant state of discontent and if I took moments to recognize victories, as I call them, or accomplishments, it could go a long way towards a sense of contentedness. In front of me are all the things I have yet to do and that list is perpetual. Behind me are all the things I’ve accomplished, certainly a more finite list. I now acknowledge my ‘victories’ to help remind me I’m making progress.